What’s this, a couple of joints and a cap of MDMA?! The latter of which was lovingly offered by Tran the man as my birthday present. Even on the cusp of my 29th year, the manners my momma taught me were chiseled into my brain and I accepted. Consumption of that substance would have be saved for later. We also had to smoke up G and Tod and, thankfully, it looked like Tran was in a generous mood tonight. After baking Tod and G into oblivion in Tran’s chamber of the big nasty, we were off to the show. 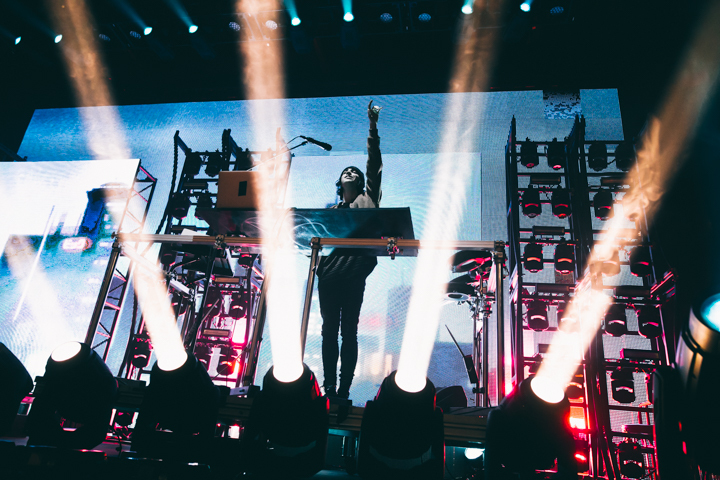 Porter x Madeon was the night’s spectacle, so it was hardly necessary to take performance enhancing substances to elicit an emotional response. But the cap was free, and I wanted to feel something. Because we were cool kids, we arrived 15 minutes before the start of the Shelter Tour set. The Electric Factory was electric. A sea of bodies flooded from the front of the stage to the back of the venue. No way were we getting to the front. Luckily, us old heads were granted access to the booze-enabled upper level where we were able to claw our way to the stage. I didn’t bring my earplugs and the cap I had taken in the Uber outside the venue was starting to kick in. The bass was synchronizing with my heartbeat and, on the other end of the spectrum, the bass and the treble and the noise started to lead my cannabis consuming friends Tod and G to a rhythm induced slumber. Lights and noise and hype for an hour and a quarter. Perpetual motion is an apt description of the behavior of yours truly. Because of the hashish, Tod and G needed a shoulder to lean on. I could provide those shoulders but I needed to keep moving. So, Tran danced a path to the rails so the metal fence could hold our friends up while we rode this wave to the end of the Shelter Tour set. Ganja G suggested that we keep the party going. It was just a shade past midnight, which was close to closing time for most legal establishments in the fair city of Philadelphia. However I felt the need to keep moving, damn these vitamins! I couldn’t fight the urge to keep moving, and though my friends exhibited the effects of cannabis-induced lethargy, they were still willing to do my bidding. Birthdays are truly a horribly powerful thing. 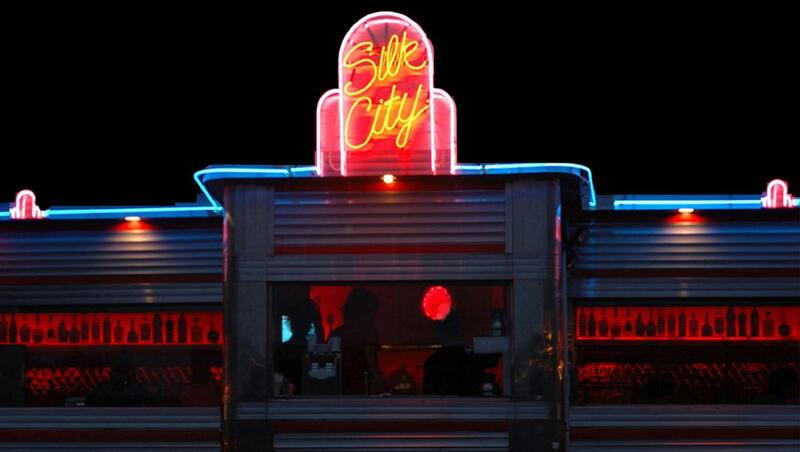 So we took a short 20 minute walk to Silk City Diner. A curious amalgam of words to be sure, especially if you thought that we were in search of a venue where I could keep on shaking this booty (which was built on endless hours of cycling). This was the perfect spot. Renowned for their transformation from brunching venue to a hip hop heavy late night dance club. Though it was likely that a bit of 90s DMX may have infused some life into the bones of hemp hangover G and Tod, I was in the the mood for some dark deep bass lines. Ask and you shall receive. The crowd that evening was chill, the dark techno beats being spun had me riding this cap to the edge. Damn it Tran… I felt guilty that I had the energy of a supernova, while the cannabis consumers were at the edge of consciousness. Despite the state of bliss I was in, moving in tandem with the bass heavy 4×4 time signature, I could see my that my marijuana inspired buddies were in dire need to rest their feet. Tran and I were in the same state, though he had consumed twice the amount of vitamins that I had… while weighing 40 lbs less and also taking a few hits of the joint and just as many shots as yours truly. It was time to call it a night… to Chinatown! Seriously, nothing builds up an appetite as much as ingestion of questionable chemicals and perpetual motion. Luckily, my after hours spot of choice (it was past 2 am, qualifying as such in Philadelphia), was nary attended. After a hasty seating arrangement and pursuit of the menu we were ready to order. Tod and G proceeded to order the sesame chicken and the General Tsao’s chicken, the obvious and Caucasian choice (I use that term lovingly). And I turned heads with my salt-baked Kirk and frog leg congee selection (there were gasps abound from the the more sleepy and pale side of the table). That birthday weekend was a special way to usher in the twilight of my twenties. I celebrated with best friends whom I met them in the city of (brotherly) love all those years ago during my undergraduate years. To this day, they’re my bros!